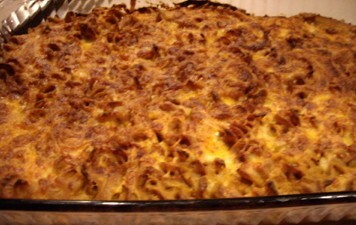 mac & cheese | What's Cooking at the Genua's? Today’s recipe I have Rachael Ray to thank for. I saw this recipe on her show just the other day and had to try it. I did change it a little bit from her recipe but not too drastic. If you want to check her original recipe go to her show site at Rachael Ray Show. Just a warning also, this makes a huge amount of mac and cheese so make sure you have many hungry people to eat it! I’m sending leftovers with my husband to his office! I made this as a side dish to my Spicy Garlic Barbecued Ribs. It was a friend’s birthday and he loves the ribs so I had to make something else to go with it. I really wanted to make my Best Garlic Smashed Cauliflower, Ever! But alas he doesn’t really like cauliflower and I didn’t think I should try and trick him on his birthday. This recipe came out really good. I had a huge serving and was stuffed! The fiber from the pumpkin and whole wheat pasta really fills you up! The house smelled so good while it was cooking also! I was trying to convince myself it really was fall outside so I needed “fall smells”. Florida Fall doesn’t really start till December so I had to improvise. I will also be eating this several more times for lunch this week! Oh well, I will have to suffer through! Bring a large pot of water to boil. Salt it and cook pasta to al dente. Drain and reserve. Preheat oven to broil. Melt the butter in a medium size saucepan over medium heat. Whisk in the flour and cook for 1 minute. Raise the heat a little and add the beer. Reduce until almost evaporated. Whisk in the agave nectar and half-and-half. Season with the allspice, mustard, cayenne and a little bit of freshly grated nutmeg. Add salt and pepper to taste. Thicken to coat a wooden spoon, just a couple more minutes. Taste to see if you need to adjust the seasonings. Whisk in the pumpkin and stir in about 2 cups of the grated cheese with a wooden spoon until melted. Add the sauce to the pasta in a large bowl. It’s easier to mix in a big bowl. Add to a casserole dish or individual ramekins. (I used a casserole dish). Dust with a little paprika. Broil to brown and bubbly! Serve! I just tried a new recipe last night and found a new repeat dish! This dish can be a side dish or main entrée. Next time I make it I may try it with marinara sauce and make it a type of baked ziti. The noodles are the Shirataki Tofu Noodles we’ve started using quite a bit. I loved it and John loved it. So open your mind and accept the possibility of a new healthier dish. 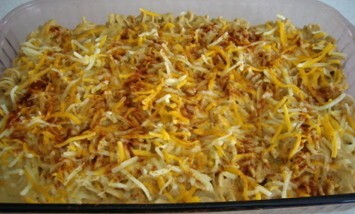 Macaroni and cheese is one of my all time faves and this dish is now my new go-to-dish! And after a week of company and going completely off my diet I need dishes like this to get me back on track. 2. Prepare Shirataki Tofu Noodles according to package directions. Cut into 1-inch pieces. 3. Lightly beat egg in a bowl. 4. Add remaining ingredients and the noodles (not topping ingredients). Stir well. 5. 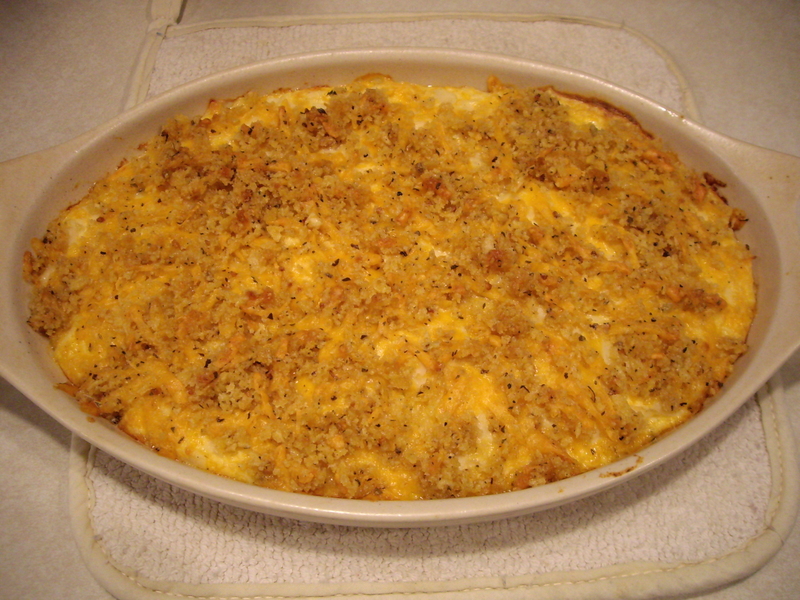 Pour into a 1½ quart baking dish that is well sprayed or buttered. 6. In a small bowl mix the topping ingredients together and sprinkle over noodle mixture. 7. Bake for 25-30 minutes until set and top is crisp.